Standard Sizes of Rainbow Tree Splashback. 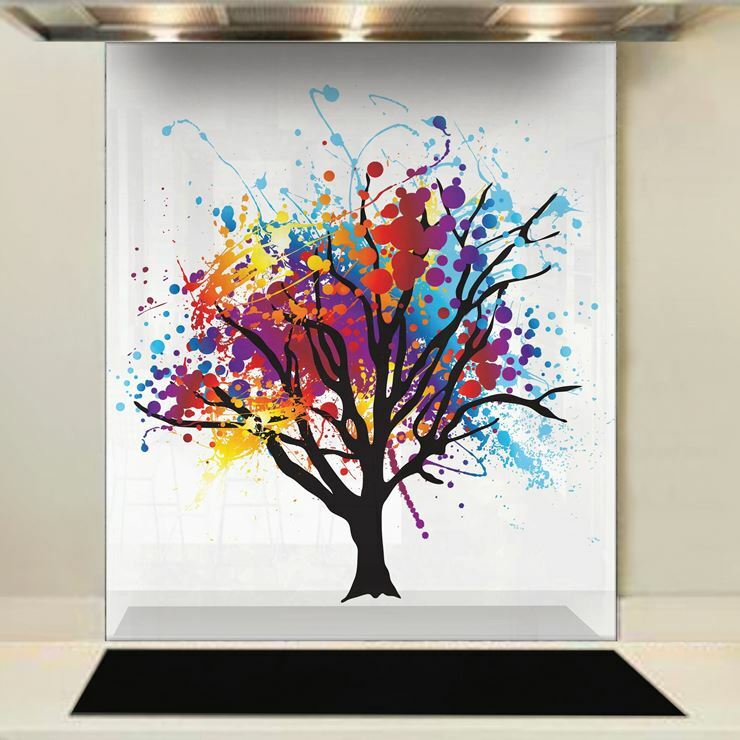 Our digitally printed Rainbow Tree Splashback is made from toughened glass that has been cut to your specification before being produced. Can be shaped to fit under practically any cooker hood. This custom made splashback is heat resistant to over 400C. Provides protection from splashing grease when cooking and is easy to clean. Manufactured to be UV resistant so it doesn't fade in normal conditions. Our fully bespoke splashbacks are made to your requirements and bring a touch of your personality to your kitchen. Easy to clean glass splashbacks. Directly printed onto low iron glass for a high quality finish. Delivered in around 1 week. All of our coloured and printed glass splashbacks are manufactured using low iron glass, also known as optically clear glass. Low iron glass has, as the name suggests, a low iron content (not completely iron free)- so generally speaking colours viewed from the front of the glass are more or less the same as colours on the back. However, as the colours and designs are on the rear of the glass there can be differences in colour due to light refraction and reflection i.e. the colour can be affected by the colour of the light in the room. Thicker glass will affect the colours more as there is more glass to refract an reflect the light.